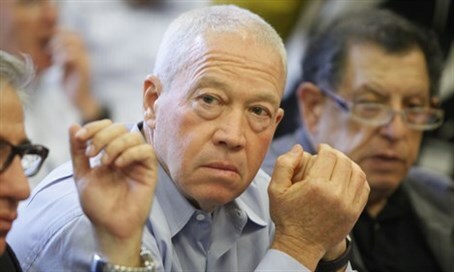 Construction and Housing Minister Yoav Galant admits the government’s policy is not to build in Judea and Samaria. Construction and Housing Minister Yoav Galant (Kulanu) admitted recently that the government’s policy is not to build in Judea and Samaria and that he abides by it. Galant made the comments in a meeting with the heads of the Conference of Presidents of Major American Jewish Organizations in New York last week. The Haaretz newspaper obtained full transcripts of the comments in the meeting. He was asked several times about construction in Judea and Samaria, according to the report, and gave an answer that Prime Minister Binyamin Netanyahu has refused to confirm consistently over the past year. There has been a de facto construction freeze in Judea and Samaria, but the government has not openly admitted it, until these remarks by Galant. The West claims that construction in these areas is illegal, but Israel's construction and presence in Judea and Samaria are in fact legal according to international law, as proven in the 2012 Levy Report. However, the government has yet to adopt the report, even though the state is "quietly" implementing parts of it according to sources. Galant said in his remarks that the solution to the construction question had to be based on the understandings reached by former Prime Minister Ariel Sharon and former U.S. President George W. Bush. According to those understandings, construction should take place only in the settlement blocs and only based on natural growth. After President Barack Obama entered office, the White House said it did not know of such understandings from the Bush administration. The secretary of state during the Bush years, Condoleezza Rice, also said there were no such understandings, according to Haaretz. He also admitted Israel did not have a partner today on the Palestinian side, but said this should not stop it from moving ahead. “On the other hand there is a question of what happens if we take our hands off the stick and let this plane keep gliding. What will happen in a generation. We know the numbers,” said Galant, according to the comments quoted by Haaretz.